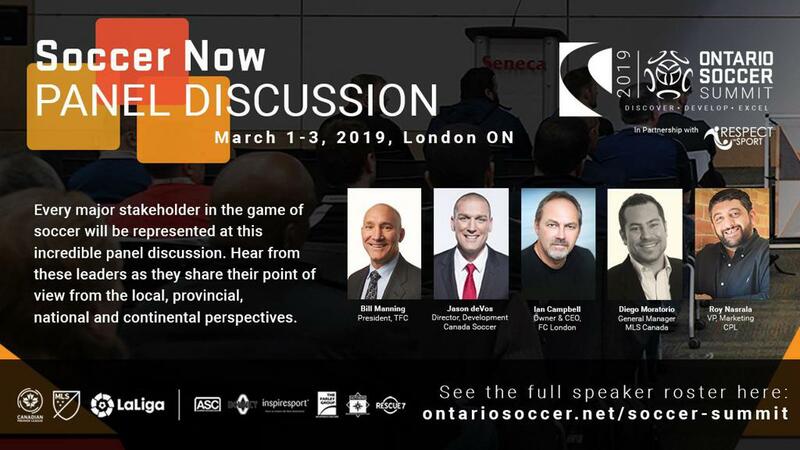 Ontario Soccer is pleased to announce the addition of two panel discussions at the Ontario Soccer Summit 2019. 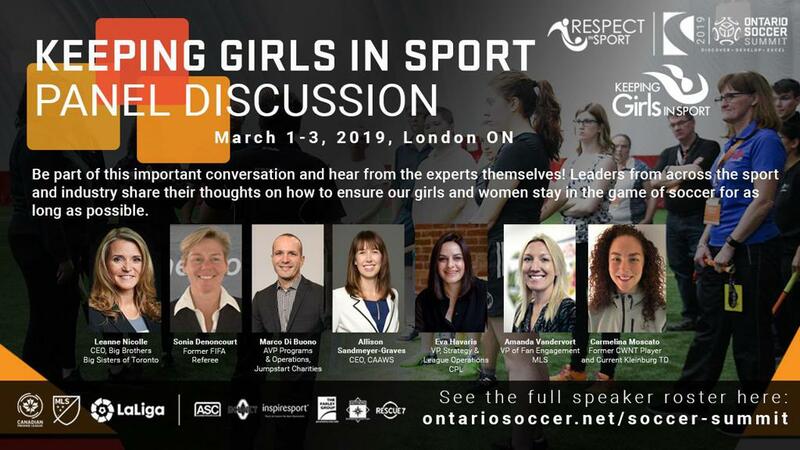 The Ontario Soccer Summit, presented by Respect in Sport, which attracts speakers from across the soccer spectrum, will pull on their depth of experience for these two engaging panels, which will be held at Wolf Performance Hall in London from March 1-3, 2019. On March 1, the first panel, titled Soccer Now, will feature voices from the local, provincial, national and continental perspectives. On the panel will be Jason deVos (Director of Development, Canada Soccer), Ian Campbell (Owner and CEO, FC London), Diego Moratorio (General Manager, MLS Canada) and Roy Nasrala (Vice President of Marketing, Canadian Premier League) as they discuss the state of the game in Ontario and Canada. On March 3, the second panel, titled Keeping Girls in Sport, will have an important discussion with leaders from across sport. On the panel will be Leanne Nicolle (CEO and President, Big Brothers and Big Sisters of Toronto), Sonia Denoncourt (Former FIFA Referee), Marco Di Buono (Assistant Vice-President of Programs and Operations, Canadian Tire Jumpstart Charities), Allison Sandmeyer-Graves (CEO, Canadian Association for the Advancement of Women and Sport and Physical Activity), Eva Havaris (Vice-President of Strategy and League Operations, Canadian Premier League) and Amanda Vandervort (Vice-President of Fan Engagement, MLS), as they have a conversation on how to ensure girls and women stay in the game of soccer for as long as possible. Tickets are on sale now. The second window of pricing, which offers the best dollar value anywhere in soccer development, closes Feb. 7 for this team-building event. Be sure to act quickly as prices will increase incrementally after Feb. 7.